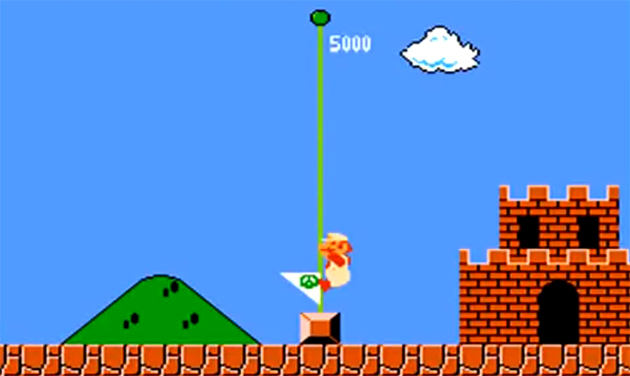 The original Super Mario Bros. dramatically shaped the gaming experience of my childhood, informing my personal ideal of what a video game should be. I imagine this is true for countless other tykes of the 1980s, and the Mario franchise is probably still influencing today’s kids as well — just in more of a cat-suit-power-up kind of way. My brother and I spent an absurd amount of time playing Super Mario Bros. as kids, competing to see who the true master was. Since I was the younger of the two, I was relegated to Luigi, endearing me to that string-bean paisano (though really, Luigi hadn’t developed into more than just a color-swapped version of Mario by that point). 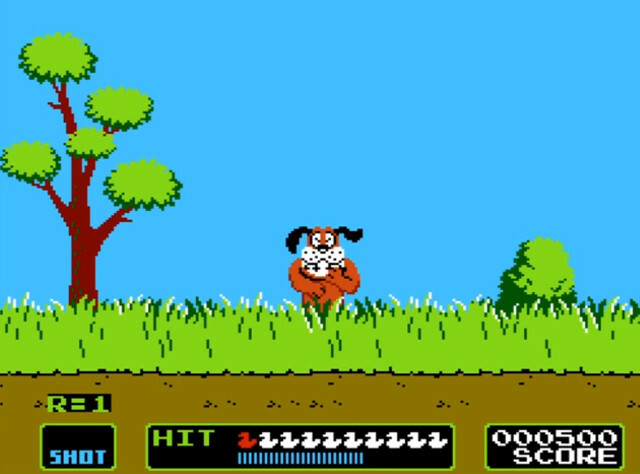 I can even recall the game cartridge that it shared with Duck Hunt; the label split diagonally down the middle as if to suggest that this inferior game (in my opinion) even deserved such equality in billing. I mean, this was Super Mario Bros. we were talking about; we all know who the true king of that cartridge was. Regardless of my personal feelings for Duck Hunt, I had until very recently always identified my early Nintendo experiences with Super Mario Bros. by that label. And, although I know there is a standalone Super Mario Bros. cartridge, that original Duck Hunt mash-up always sticks out in my mind. However, I recently discovered an old NES commercial from 1985, and I noticed that the NES Deluxe Bundle was missing something crucial: There was no mention of Super Mario Bros. at all. Was I hearing this right? Could it be that perhaps back in 1985, Super Mario Bros. was actually considered so inconsequential that it was completely panned, unworthy of even mentioning? Because really, why would you mention the game that would go on to shape the landscape of platformers and save the video game industry almost single-handedly? But no, as it would turn out with a little prodding and digging, it is in fact true that Super Mario Bros. wasn’t actually included with every early retail version of the NES… sort of. Although Nintendo’s internal documents state that both the game and the console shipped on October 18, 1985 — a soft launch in the New York City area to test the waters — it is entirely possible that the date on record at Nintendo could represent the original version of the launch bundle that may have then been later altered. Perhaps Nintendo decided at the last minute to hold back the title to see what the initial response was to the NES itself, which at the time was billed as a family entertainment device more akin to a toy. Coming only two years after the great video game crash, perhaps it was too risky to include a game that was clearly a more traditional, albeit also a more advanced video game like Super Mario Bros. 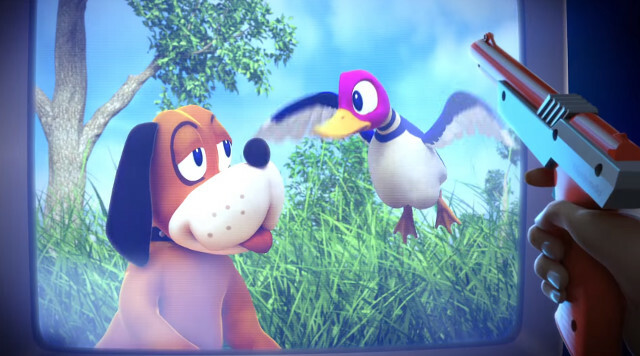 I mean, Duck Hunt is more akin to a silly little game (again, in my opinion) that includes a toy gun. And R.O.B. is a robot that plays games with you. Or perhaps there was just a production snafu that held the title back from the ’85 soft launch and was later included once the system was ready for mass distribution to the K·B Toys stores of the world. Or perhaps it was just decided after a bit of feedback that the value of the NES, priced at $180, needed one more game to justify a consumer purchase and Super Mario Bros. got the luck of the draw. It’s tough to pin down exactly what happened. Longtime Nintendo employee Don James was quoted as saying Super Mario Bros. “was released about four months after the NES hit the market.” An article in the October 5th, 1985 edition of the Milwaukee Journal runs down the list of games included with the NES system, as well as the titles that would also be available for purchase separate from the console. 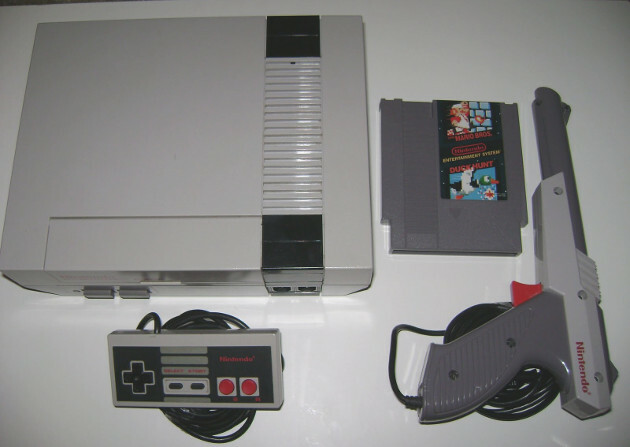 The included games were the aforementioned Gyromite and Duck Hunt, both of which relied heavily on their respective peripherals. When you combine this with the fact that the first NES commercial clearly omits Super Mario Bros., it seems pretty likely that Super Mario Bros. — one of the most influential video games of all time — wasn’t a part of the initial launch of the NES. So what does this all mean? Put away your tinfoil hats — it’s definitely not a conspiracy. It might be hard for our post-Mario minds to fathom, but the video game landscape was very different in 1985, and Nintendo had every reason to play it safe. In fact, even though the NES and Mario were both huge hits, many retailers reported that the initial launch was unsuccessful. In hindsight, packaging Mario with the NES seems like a no-brainer. But the world the NES was born into was one in which unsold games were being buried in the desert. There was no such thing as a sure thing. At the end of the day, very few people can say with certainty what the Super Mario Bros. release date was or why Nintendo decided not to pack it in with the initial batch of consoles. It’s just an interesting case of what the world remembers versus what actually happened — whatever that may have been.